Glenavon are at home this Saturday 25th February to Ballymena United ko 3.00pm. Clubroom opens 1.45pm. Find the Joker jackpot £320. We will be showing the Man City v Blackburn game at 5.30pm. Glenavon travel to Crusaders this Saturday 18th February in the IPL. Bus leaves MVP at 1.30pm and Moira at 1.45pm. Glenavon host Crusaders this Saturday 11th February in the Irish Cup. Clubroom opens at 1.45pm when we will show the second half of the Man Utd v Liverpool game. Find the Joker jackpot £300. We will also show the Spurs v Newcastle game at 5.30pm. 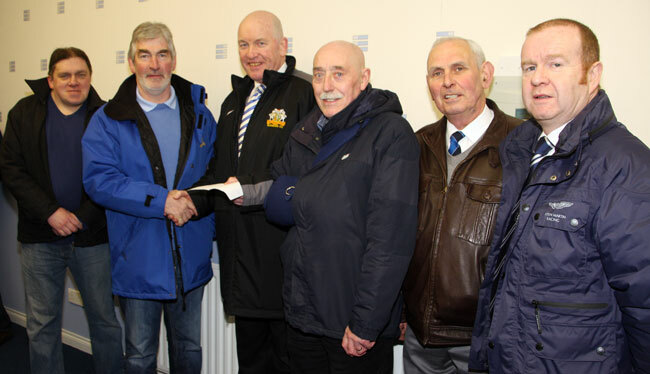 You are currently browsing the Glenavon Triangle Supporters' Club blog archives for February, 2012.